Sarah is a Chartered Legal Executive who has worked in private client law since 2010. 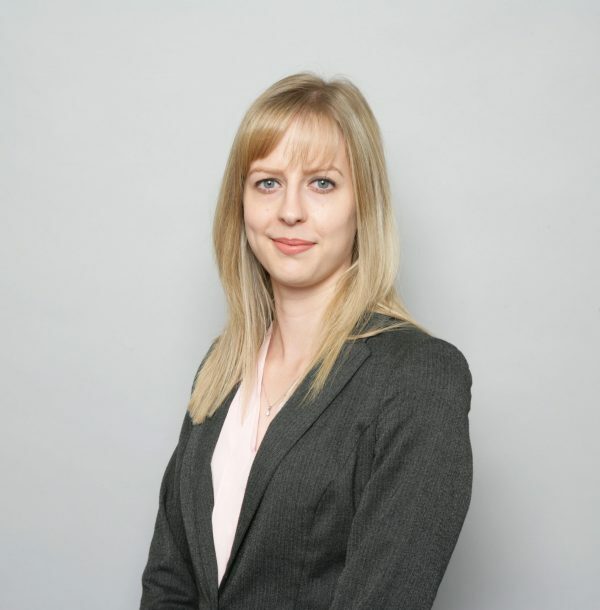 She completed her Level 6 Professional Higher Diploma in Law and Practice in 2017, and qualified as a Chartered Legal Executive in 2018. Sarah deals with a range of matters including administration of estates, preparation of wills, lasting powers of attorney, registration of enduring powers of attorney, and deputyship applications. She is an Affiliate member of the Society of Trust and Estate Practitioners (STEP), and is working towards full Trust and Estate Practitioner (TEP) status. Sarah is happy to travel to any of Hatchers’ offices to meet clients, and will also visit clients at home if preferred. She enjoys building long lasting relationships with her clients, taking account of their individual needs and helping clients through what is often an emotional time in their lives. Sarah was born and raised in Shropshire and presently lives on the outskirts of Ellesmere with her small dog, Lincoln. Outside of work she enjoys gardening, cooking and planning the next stages of her home improvements. Based at: Welsh Bridge, 1 Frankwell, Shrewsbury, Shropshire, SY3 8JY and 45 Green End, Whitchurch, Shropshire, SY13 1AD.